Ecommerce Web Design Dubai. Ecommerce Websites From 4200 AED Only! Affordable Ecommerce Web Design Dubai Style! We offer professional ecommerce website development UAE companies looking for at reasonable prices. With our ecommerce websites Dubai businesses can add unlimited products & categories, videos & images and be able to update it without any knowledge of IT. Our e-commerce websites come with any online payment solution you wish (PayPal, PayFort, CCAvenue and so on) as well as Cash On Delivery. With Ummah Design's ecommerce solutions Dubai businesses can have their website in any language they like and manage their customers orders without any hassle. We can even help you with your search engine optimization (SEO) or take care of your website maintenance or even help you with social media management after building your website. 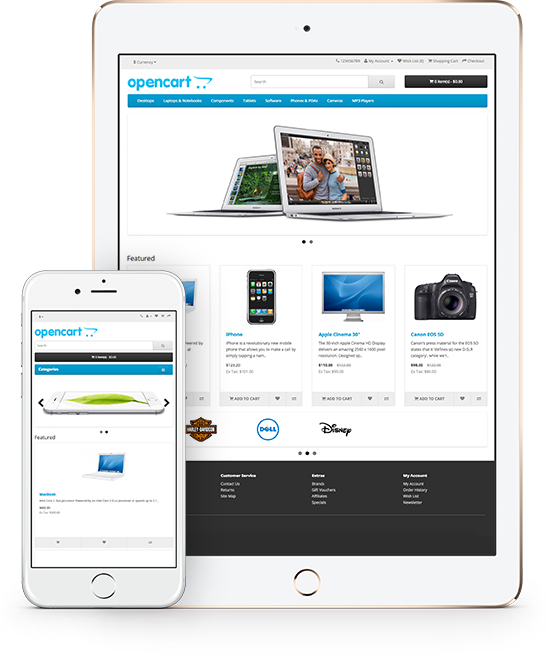 In addition, our ecommerce websites are all mobile friendly (also known as responsive design) that adapt to all kind of handheld devices (iPhone, Galaxy, iPad and so on) very nicely. Let us provide your with great ecommerce web design Dubai way! With our e-commerce websites you can create unlimited product categories and subcategories and assign your products to them. 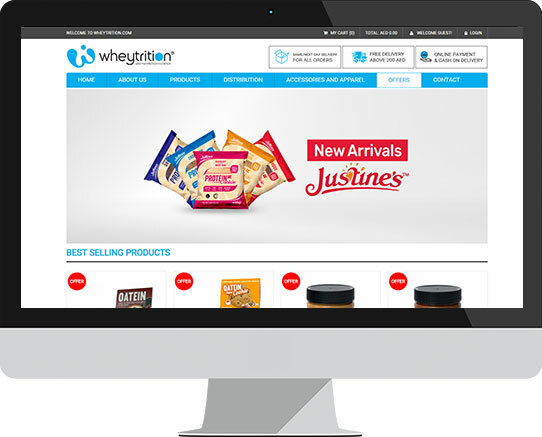 Whether you want to sell 1 product or 1,000,000 products, our e-commerce websites have got you covered! Add as many products as you like! Our ecommerce websites make it easy for you to sell digital products (mp3, PDF, Word etc.). 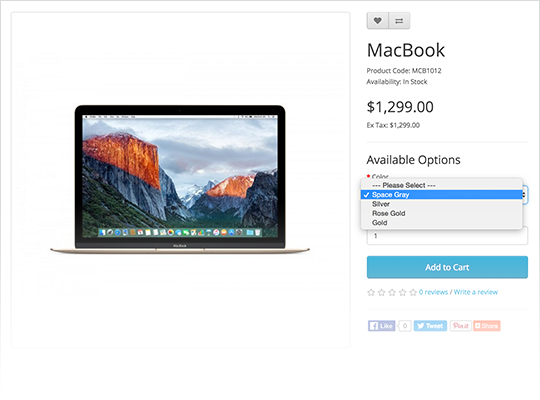 All you need to do is click a button, upload the product and set the price. Khalas! Your digital products are ready to be sold. As anyone would agree that customer product reviews are among the most vital factors that compell the buyers to buy or not to buy your products. 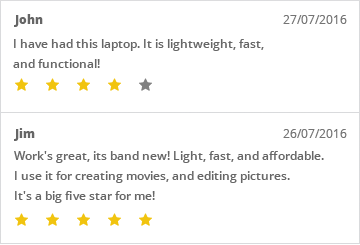 Our ecommerce websites come with a powerful integrated comments, reviews and ratings system. Would like to reward your customers? 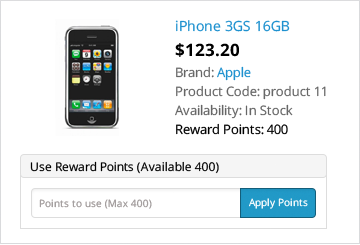 Our integrated reward program drives great results and increases customer lifetime value and return purchases. To help your customers find the exact products that suits their needs you may want to make the use of our powerful filters! 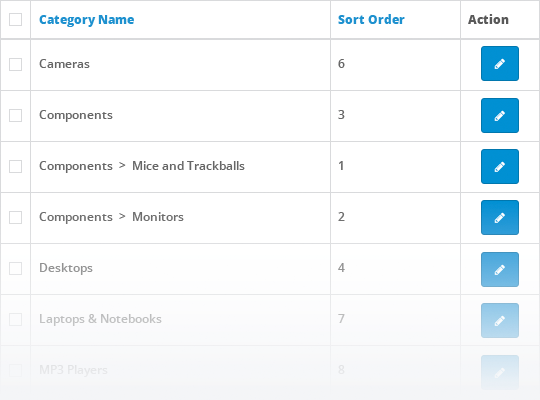 You can create filters in the same way you create categories. It is that easy! 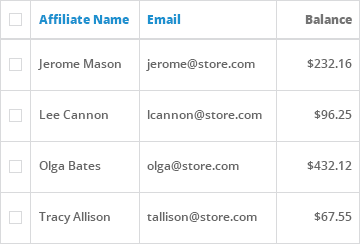 Creating and implementing filters is a great way for customers to refine and narrow down just about anything in your store. Easy find - easy buy. Don't be satisfied with one language. 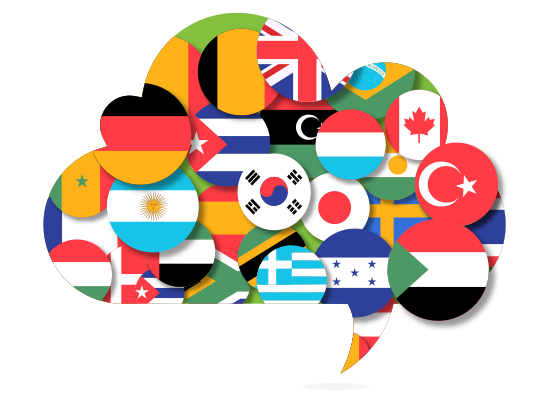 Make your website appealing to as many nationalities as possible! Want to have your website in English and Arabic? No Problem! Mafi Mushkila! 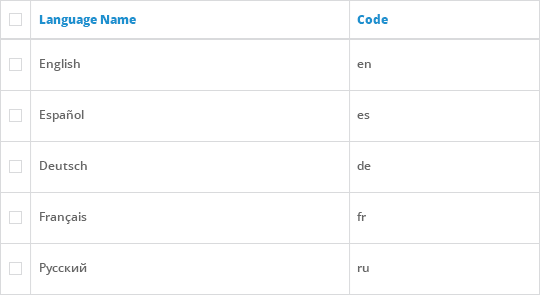 It is available in more than 40 languages and counting! The ecommerce websites we provide for UAE businesses offer an easy way for customers to get subscribed to your newsletter. 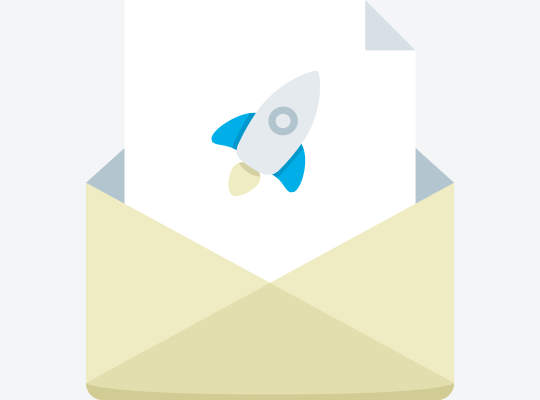 Once they do this you can easily get started with your email marketing campaigns. Notify them about your great offers with a click of a button! We can integrate all major payment gateways in UAE and worldwide. Whether it is Tellr, PayFort, CCAvenue, CashU, PayTabs or any other payment gateway provider in UAE we can integrate them all. 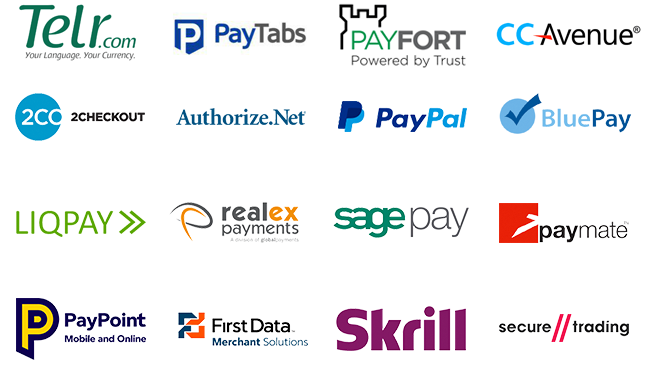 In addition our e-commerce websites support international payment gateway providers such as Authorize.Net, Amazon Payments, First Data, Klarna, LiqPay, Skrill, PayPal, SagePay and many more. The most world-renowned Shipping methods, integrated for you. We can provide integrations with Fedex, DHL, Citylink, Parcelforce, Royal mail, UPS, USPS and much more. As long as your shipping company provides shipping integration option we can integrate it for you without any problem. Get analytical. 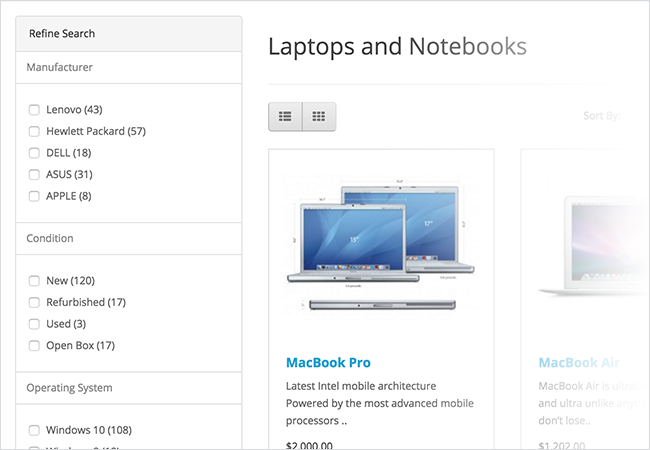 Our ecommerce websites come powered up with a sales report, viewed products and purchased products report. 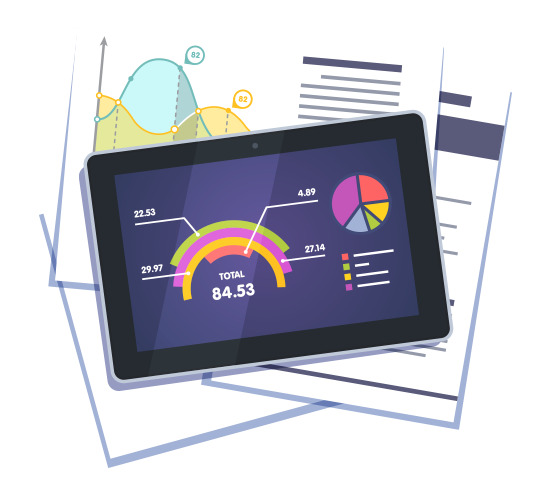 If you want to get additional reporting functionality we can arrange that too. In order to successfully organize an online store you will need to cooperate with many people in your team, each performing different roles. 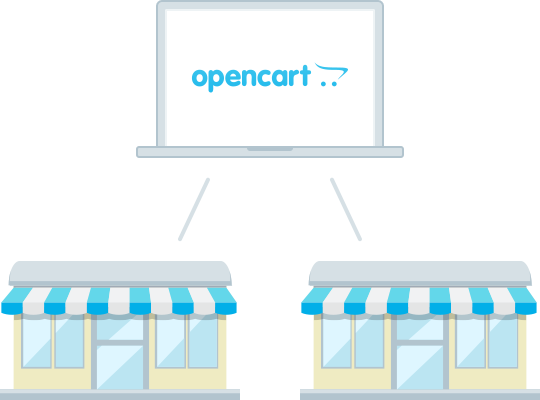 Our ecommerce websites allow you to set advanced user privileges and separate access for user groups and users. Do you have more than one store? No problem! 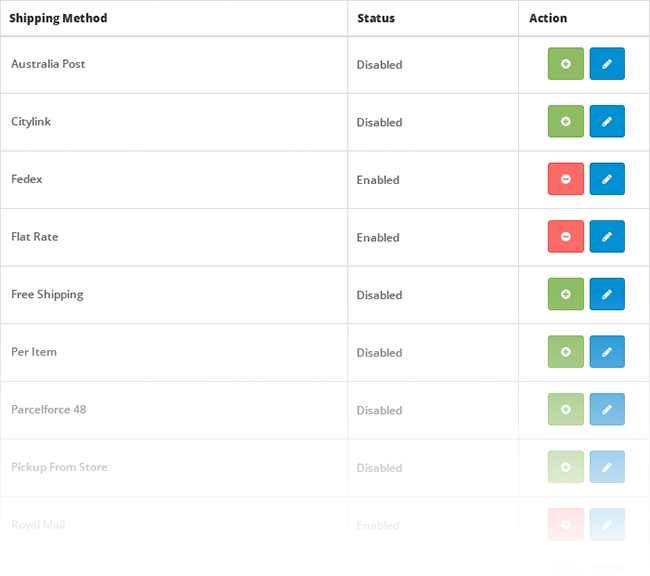 Manage multiple stores from one admin interface. Set products to appear on different stores. Choose a different theme for each store. 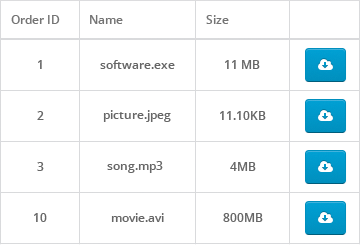 Localize store settings. 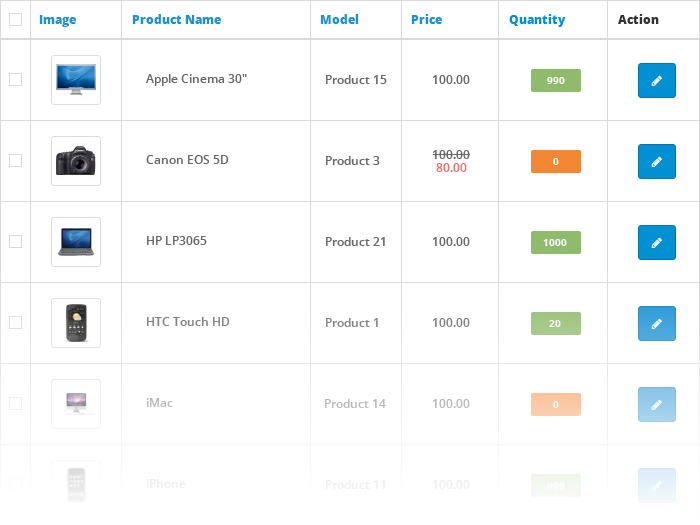 Set per store product prices. It is so easy but yet so powerful! Our ecommerce website come with an inbuilt Affiliate system, where affiliates can promote specific products and get paid for this. Set different percentages as per your need and offer different payment options such as cheque, Paypal and a bank transfer. 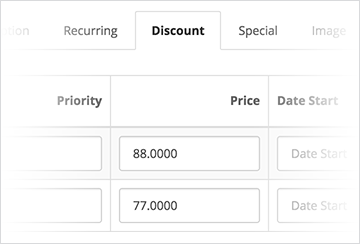 Would like to give discount on special occasions? Or 10% discount coupons for your social media followers? No problem! Offer discounts, coupons and specials to cover the most popular ways to get attention and increase sales! If your livelihood depends on your online store then we suggest you backup your website more often! 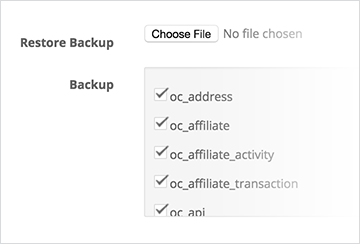 With our e-commerce websites you can easily set up your own back-ups through your admin area and restore them anytime you like or in times of emergencies. These days it is very important to have your website mobile & tablet friendly. Ecommerce websites we provide are responsive by default. This means your site will look awesome no matter what device your buyers use. Mobile, tablet, desktop or a large screen you will certainly make an impression. We know how important the SEO for you. 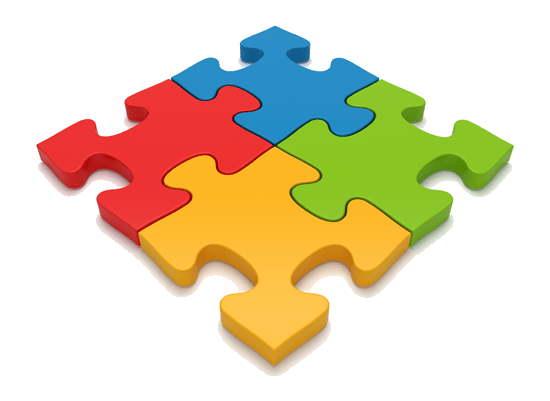 Every product you add can be optimised for search engines however you like. 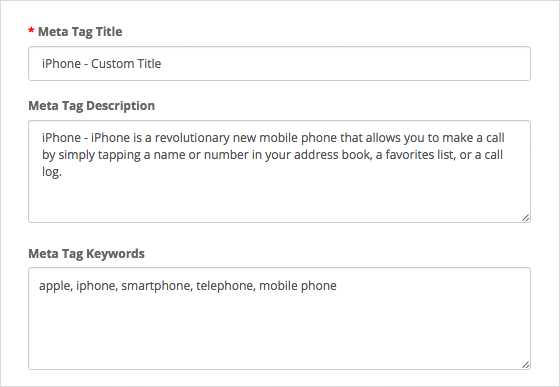 Add your descriptive keywords and text in provided SEO fields and let the website take care of the rest! No need for expensive add ons. 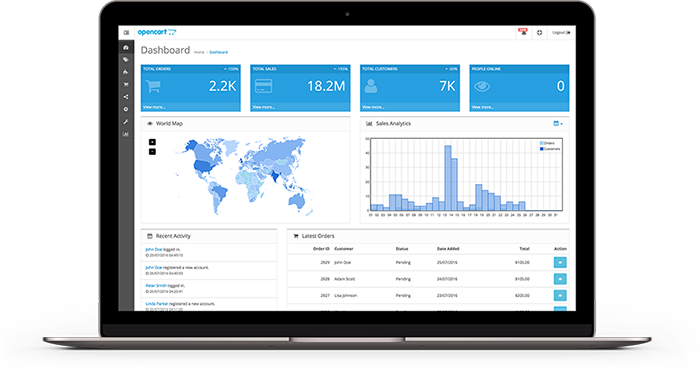 The Marketing in your dashboard will allow you to add and track the marketing campaigns you create. Connect to Google base and Google sitemap and set how Google lists and views your products. 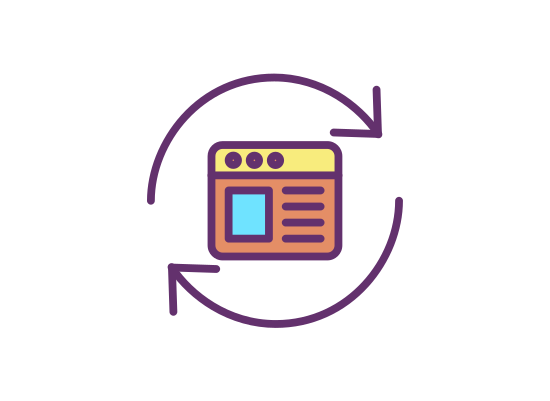 When it comes to the most important step and converting a customer - the checkout, our ecommerce websites provide both Guest and Registered user checkout. The choice is yours. 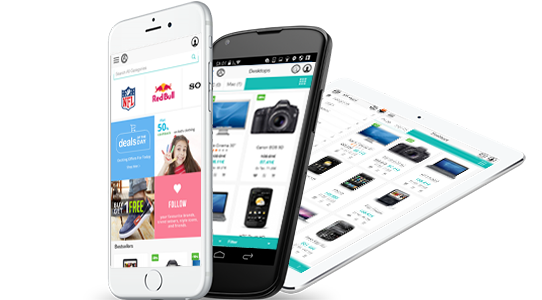 We can make your ecommerce mobile App integrated with your website! One database two platforms working hand in hand! Push notifications are the best way to your customers. Keep them engaged with your store updates, promotions, and more sent directly to their mobile device. 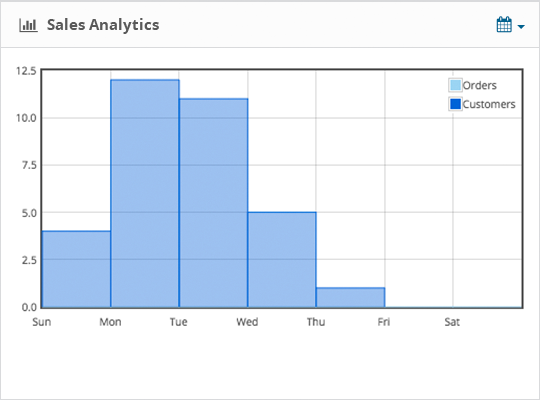 Measure active users, orders, signups, and more with Apps Analytics Dashboard. 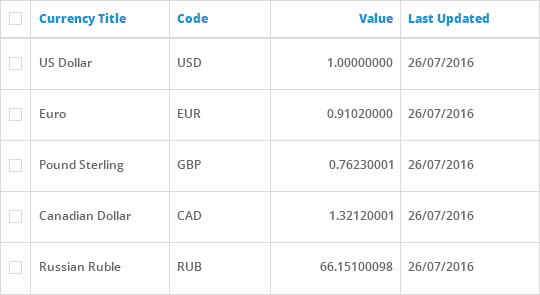 Get to know how your new launches are performing and how many users come back for more. Target your local customers. The app is fully translatable and we can translate your App to any language you want. 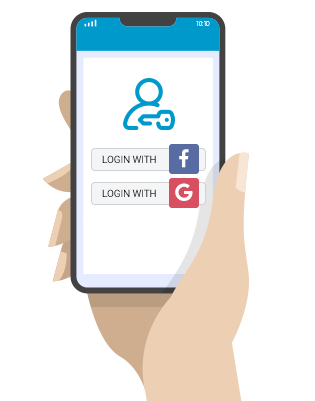 We have integrated Facebook, and Google login in to the app, so users can signup to your website with their Facebook or Google account with just a few clicks. 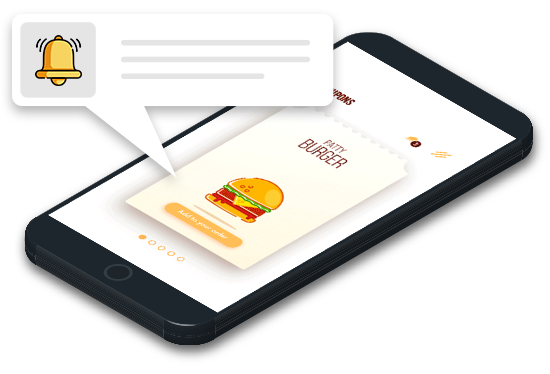 The app dicrectly connects to your existing ecommerce webstite. So no need to manage app products separately. 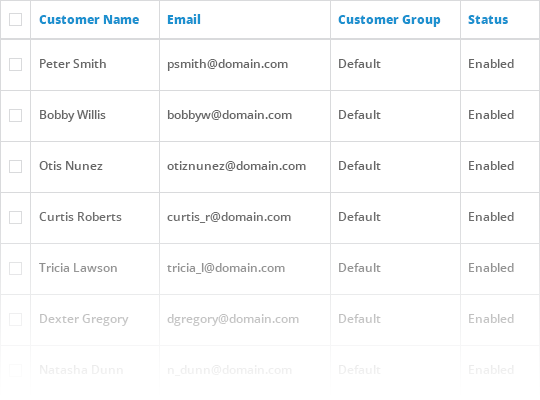 One admin area for both your website and App. 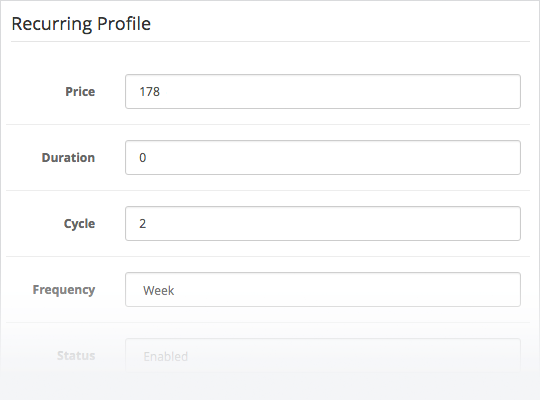 Whatever you update on your website admin area will reflect on your app instantly! App updates in real time without going through google play and app store.